I have few spots still open to teach in 2019, if you are interested in having me give a lecture or workshop to your group, you can contact me at cheryljbrickey (at) gmail (dot) com. 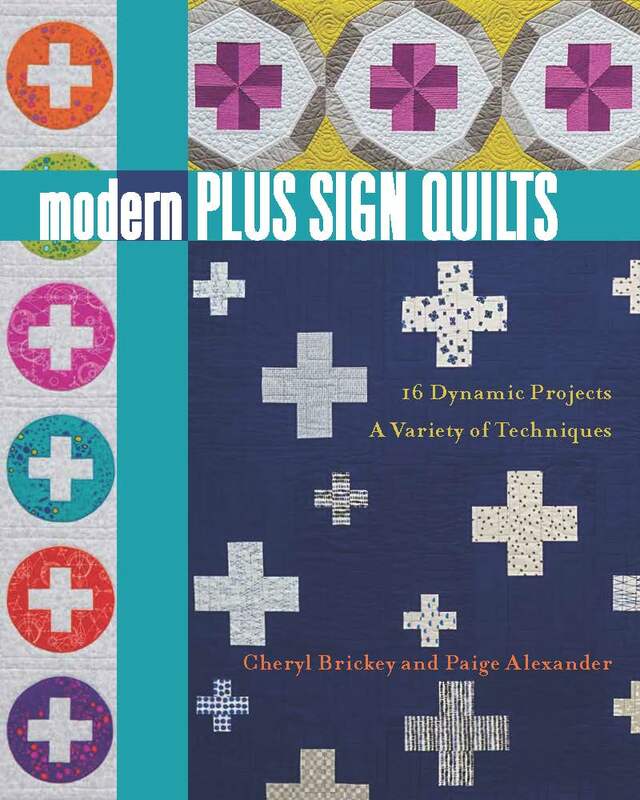 See most of the quilts from the book Modern Plus Sign Quilts co-authored with Paige Alexander (published by Stashed Publications 2/2018), learn the back story on how each design was developed, and get insights into the craft book publishing world. 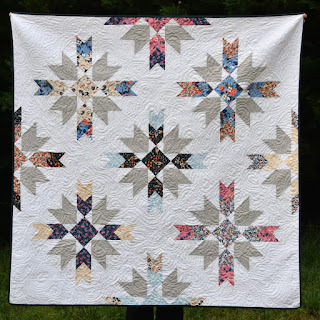 My trunk show shares my story of how I became a quilter and my work has evolved over time by sharing my first quilt and many quilts throughout my journey. Those three words, “quilt as desired” strike fear in many quilters. In this lecture, I take you through a step by step process you can use to help determine which quilt design you should use on your quilt, whether you are quilting the quilt yourself or sending it out to a quilting professional. This process helps you decide between allover versus custom patterns, which designs to use, and even quilting density and thread color. I will be showing many of my quilts and discussing how I decided on the quilting designs for each. Materials lists will be provided when the workshop is booked. 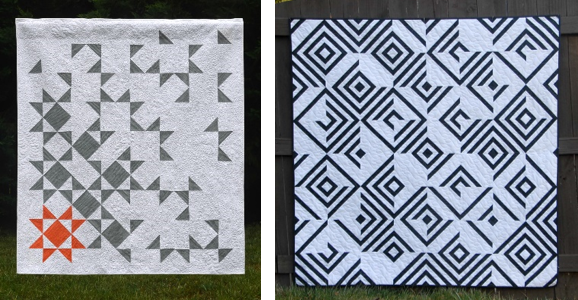 Instead of starting with a blank canvas and adding elements to create a minimalist quilt, an alternative method of achieving a minimalist quilt design will be taught by creating a full design then selectively removing quilt composition elements. 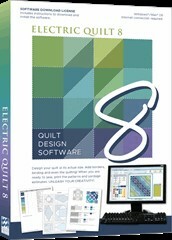 The lecture will contain quilt samples illustrating the technique and then the method will be demonstrated using EQ7/EQ8, PowerPoint, and graph paper. (3-hour version) No sewing involved, only design and sketching work. The hosting organization must provide a projector screen. (6-hour version) After participants have designed their minimalist quilt, we will spend the afternoon 3 hours starting to sew up the quilt top. Basic sewing and quilting supplies will need to be provided by the group (sewing machines, irons, cutting mats/rulers, etc). The hosting organization must provide a projector screen. Cathedral windows are a classic quilt design and are a fun combination of origami-like fabric folding and sewing. In the workshop, participants will learn to make a cathedral window block and then turn it into a pincushion. 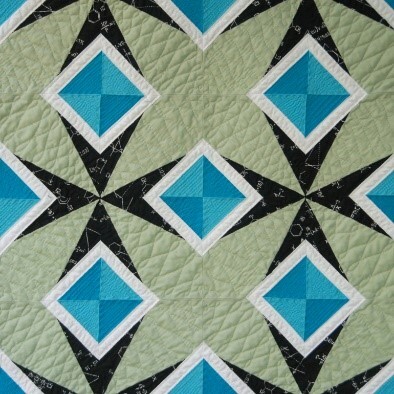 Foundation paper piecing is a great sewing technique to create interesting angles and perfect points. 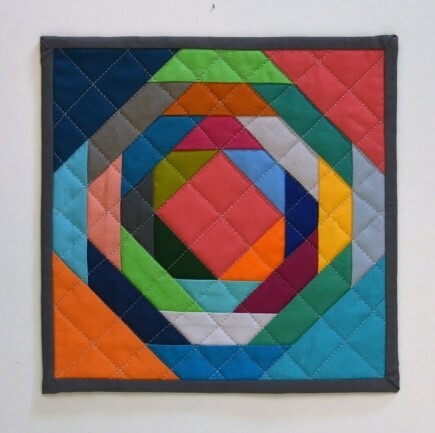 This beginner level paper piecing class will take you through the basics, from preparing the templates and fabric, to how to sewing finished blocks together. Basic sewing and quilting supplies will need to be provided by the group (sewing machines, irons, cutting mats/rulers, etc). 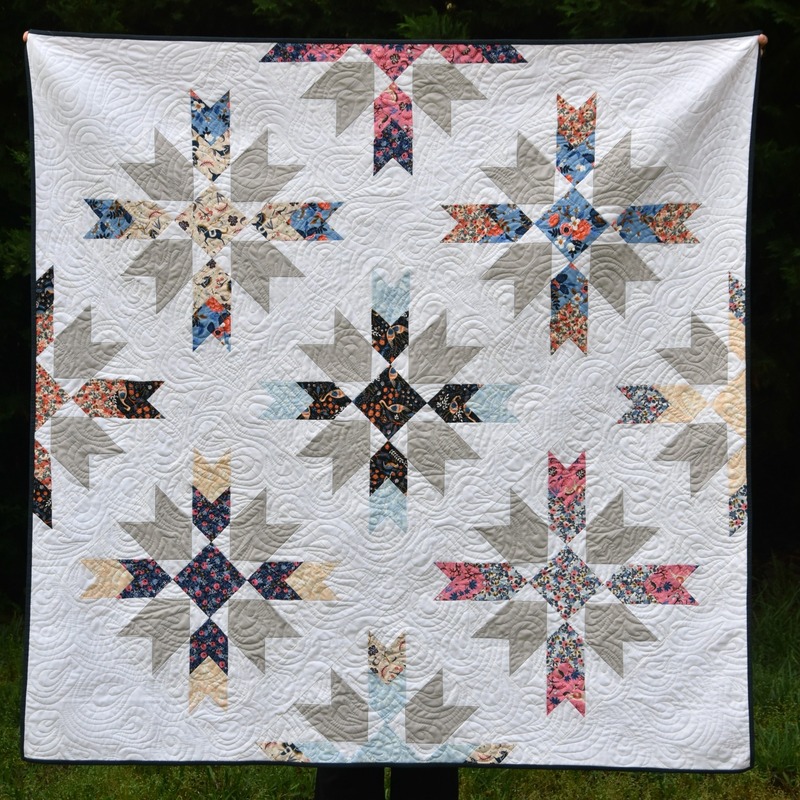 This workshop is perfect for quilters who want to learn some new piecing skills and create a beautiful quilt. 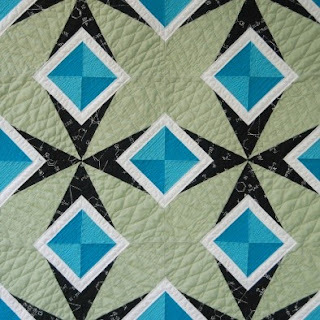 Use half square triangles and the stitch and flip methods to make blocks that are then set on point for the quilt top. Participants can make either the baby or queen-sized version of the pattern. Thank you for your interest my lectures and workshops! The following is a breakdown of some pricing and accommodation requirements. If this suits your needs, please email me at cheryljbrickey@gmail.com to schedule a booking and initiate a contract. Lecture/trunk show $250 (45-60 minute lecture plus Q&A). Full day workshop (6 hours plus ~1 hour lunch break) $675. Half day workshop (3 hours) $350. Price of workshops include materials fees (patterns, handouts, etc). Standard mileage rates apply (58 cents per mile as of 1/2019). Overnight hotel may be required depending on the time of event (I prefer not to drive after 10:30pm). Meals are charged at the per diem rate of $50 per day (including travel days). Hotel lodging includes the night before the first event through the night of the last event (depending on event end time). Lodging will be charged at actual hotel rate (average rate of $150 per night). 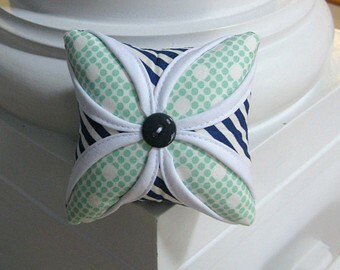 Travel includes airfare, mileage to/from my airport, baggage fees, shipping quilts. Note: To estimate the airfare costs, look up the rate from the Greenville Spartanburg airport (GSP). I book all my own travel, unless arrangements are specified otherwise. A projector screen is required for some lectures/workshops along with electricity and extension cords. Tables to set up and share my books, patterns, and other items available for purchase during the event; be sure to schedule a venue that allows selling. I am responsible for complying with all tax laws. Limit 20 students per class. Lectures/trunk shows are unlimited. $100 non-refundable deposit due within 30 days of signed contract; applied toward the balance of the engagement. Airfare and hotel fees are due prior to being purchased, approximately 4-6 months ahead of scheduled visit, and are non-refundable due to cancellation of event by the host. Bookings that require an overnight stay must include at least one workshop. You may cancel or reschedule the speaking engagement up to one week prior to the event. In case of bad weather or any rescheduling, your original deposit will be carried over to reserve a new date.